While in Italy I noticed Nespresso boutiques everywhere. Nespresso machines use little pods of coffee that come in many different varieties and the stores are a convenient place to try them out or buy coffee. The machine I know best is the Pixie. 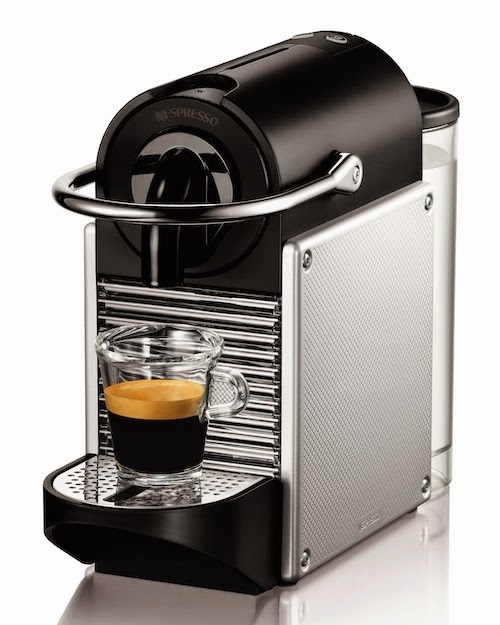 It has a 16 bar pressure pump, is ready to brew in about 30 seconds and easily makes both espresso and lungo style coffee at the push of a button. It also takes very little room. The dimensions are just 12.83-Inch length by 4.33-Inch width by 9-1/4-Inch height. If you want to make a cappuccino, you’ll need to purchase an optional Aeroccino milk frother which would also make a good gift. Both are very stylish machines and just imagine, your dad will think about you every single day when he makes coffee! You can find some models for under $200 on Amazon, but if you purchase it from Nespresso for $229 you’ll get a $75 credit for coffee. I am a huge fan of the Thermopen which I use daily. 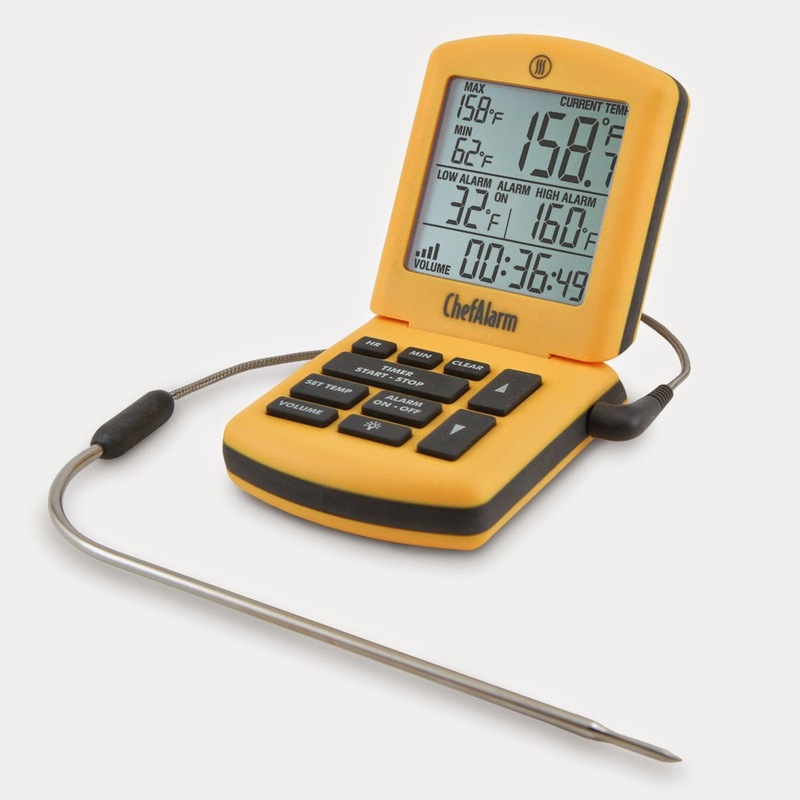 It’s the best thermometer ever. But for dad, I think the ChefAlarm is great idea. It has a temperature probe that attaches to an alarm that has a plethora of features. 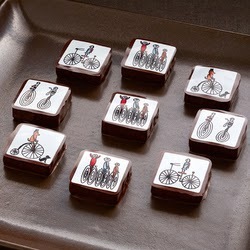 Recently I received a box of Recchiuti chocolates as a thank you. I think I had forgotten how good they are. It was fun choosing the different flavors from the guide and savoring each bite. But one of the confections that Recchiuti is most known for, are burnt caramel truffles. These rich little squares aren’t really burnt, but cooked until the darker notes are stronger than the sweet ones. This is my new favorite house red wine and one I plan on sharing with my dad. It's an easy wine to pair with food but just as enjoyable on its own. I first tried it with some sausages and grilled vegetables. 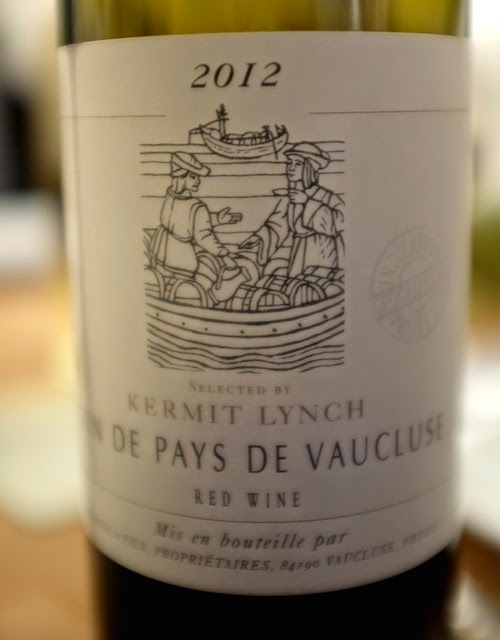 It’s a blend from the Southern Rhone and is mostly grenache, syrah, merlot and just a touch of marselan. A medium body juicy wine, it has limestone minerality, lots of red fruit like raspberries as well as violet and licorice and a bit of leather. It is not an expensive or fancy wine, but will show dad your good taste and eye for value, $12.99 at Whole Foods Market wine department.